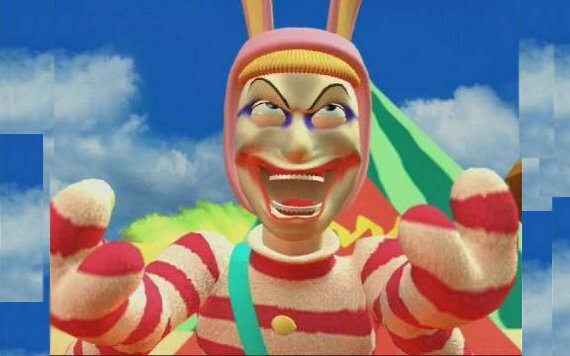 Popee The Performer is a Japanese kid’s show that debuted in 2000. It’s level of weird is impressive. Popee The Performer only recently came on to my radar, thanks to a BoingBoing post called Mind Blowing Movies. After watching a four minute segment, I was mesmerized and went on to watch several more of the short episodes. The characters are fascinating and the situations are surreal in a way that would never be allowed on an American kids show. Thankfully, all 39 episodes are available on js1541’s YouTube channel. The episode below is the one I started out on. Enjoy the antics of Popee and Kedamono.